There has been no greater revolution than the internet revolution. 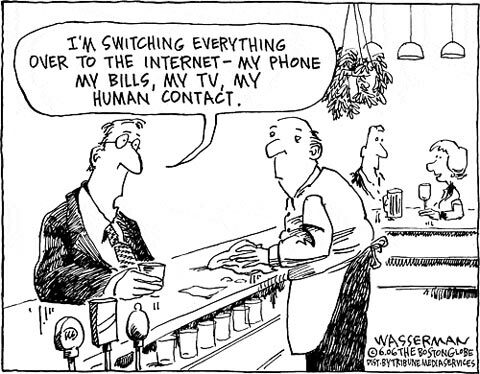 The internet has crept into our lives so much that it has changed the way we live, shop, socialize and work. And the ‘Maamis’ (the Tambrahm way of referring to an aunt) from Adyar are surely not to be left behind!! In a recent trip to Chennai, I sat chatting with a few from my family. It was a warm and lazy Saturday afternoon. My eyes drooped as my ears tried to pick up the conversation that was going on. Come on… what could a bunch of 70 year old Maamis possibly talk about? “Nellikai urugai, maavadu season, Karuvadaam varieties, son in the States…”(Gooseberry pickles, mango season, dries chips varieties…).But minutes later I sat upright, to realize, they were talking about internet speeds, popular URL’s, smart phone apps and much more. Whoa….I realized the internet had sure taken them by storm. Take for instance Maami ‘V’. Maami ‘V’ is known to be the best cook in our family circle. Till date I rate her “murukkus and bakshanams” (spiral gram flour snacks and savories) the best in the town. Years back as a young girl; I would find her referring to “Samaithu paaru”, before starting off on make her delicacy. Samaithu paaru is a three volume bible of traditional Tambrahm food, written decades ago by Meenakshi Ammal. These books are almost a mandatory part of every Iyer girl’s dowry. Maami ‘V’s daughter recently married to settle down in America. I asked Maami if she had given her the mandatory dowry. “Ellai ellai” (no no). “Google is there na. She could just search for any traditional dish. So instead of the books I bought her an iPad as marriage gift!! Whoa…Google replaces Meenakshi Ammal. Ironically that evening I went on a search for the books in Chennai. After considerable hunting, I managed to get a copy in an obscure shop in Mylapore. Well before the software boom happened, the Maami’s of Tamil Nadu had generously been exporting their engineering sons to the States. With a heavy heart and oodles of pickle bottles, ‘podi packets’ (flavored powder to be mixed with rice); ‘karuvaadam’ (dried ready to fry chips) wrapped in boxes…their sons left for the US never to settle down in Adyar again. A few lucky Maamis meet their sons once a year during year-end holiday season. For many others Green card and cost issues make the yearly visit much more difficult. For Maami ‘K’ life is as happy as it can get. “I chat with him on Skype almost every day. He switches on before he leaves for office every morning and after he is back in the evening. I watch him have his breakfast and dinner. It is as though he is among us. I am planning to get him married and have lined up some Skype interviews with prospective brides”, she said. Whoa Maami, ‘Ponpaakarthu’ (bride seeing ceremony) through Skype. Now that’s a sure revolution. I was amazed at her sheer enthusiasm to learn at that age. The Indian Prime Minister Narendra Modi recently took his ‘Digital India’ Vision to the Silicon valley. “I see technology as a means to empower and as a tool that bridges the distance between hope and opportunity”- This is what he had to say. I totally agree. The internet revolution has empowered and transformed millions of lives. What are the Comic Books From Your Childhood? Just loved your post!Maamis and Internet!Wow! I should tell my mom and mil also to learn to surf the net. This post is too good..good for maamis changing with the times. Thanks Lata.Things have further changed since I wrote this post…. with a 76 year old aunt of mine who recently bought a selfie stick having being bitten by the selfie bug!!!! Wow..i found it silly and never bought it. This is making me feel old. Brilliantly written!! I could visualize the Maamis discussing amongst themselves as I read your blog post!! Being a budding blogger like me it makes for such a learning experience reading write-ups like this.. Excellent write-up!! For a budding blogger like me it was really fascinating to see how personal you made this blog look. I could almost completely visualize all the Maamis & their discussions and banters as I was reading!! Well written!! Congratulations! Your blog post was selected for Spicy Saturday Picks edition on October 3, 2015 at BlogAdda. My kids have a hard time believing I spent my first 30-something years without the internet. It’s never too late! Ramya, loved this post, truly did. Hailing from a Tam Brahm family, I loved it even more. This is the second post of yours I have read and I can tell you your posts stand out amidst all the blog chatter. Thanks Lata… Much as I am happy to be part of this community, I still cant seem to contain myself when I am confronted with all the humor it has. Sure has shrunk the world!! Sure it has… The sheer fact I get to network with om many bloggers around the globe. Hahaha That is surely hilarious…. Digitisation has surely taken over not only India but whole world, but Maamis have seen both generations. Fortunate I would say. I’m saying Soooper with a Tamil accent, as I read this! Isn’t it just fabulous. I see so many senior citizens at airports reading from their Ipads and can only hope that I will be as open to new ideas when I get to their age. So well said…Having moved to Chennai abt 3 years bk – I can relate to everything that you spoke of.For me – Chennai was totally a new space – coming from Mumbai- Kolams, Maamis, Filter Kaapi – this entire thing was new. Now I have started enjoying their presence and relate well with your content..
Yup they are enjoyable in their own sweet way. I live in England so I didn’t quite know the subject. But I agree about the internet revolutionizing our lives. Without it, I’d never be able to reach you, and see a different side of life.